Glenwood is a neighborhood in North Philadelphia. It is located in the vicinity of North Philadelphia Station to West York Street. In 1988 two residents of the 3100 block of Percy Street, Reverend Clarence Hester, a Baptist minister and activist, and Carrie Hartsfield, an insurance worker who retired, cofounded the Glenwood Community Development Corporation in an effort to improve the area. Glenwood is often defined as the area bounded by York Street to the south (bordering Stanton and Templetown), Germantown Avenue to the east (bordering Fairhill), and Glenwood Avenue to the north and west (bordering Nicetown–Tioga, Allegheny West, and Strawberry Mansion). Glenwood is a low-income, predominantly African-American neighborhood. The area has one of the highest crime rates in the city. As of the 2010 Census, Glenwood was 88% non-Hispanic black or African American, 7.8% Hispanic or Latino of any race, 2% white, 1% Asian, and 1.3% all other. 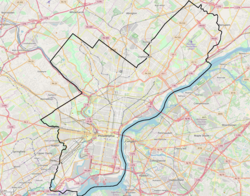 Though, a predominantly black neighborhood, there is an increasingly significant number of Hispanics, particularly in the eastern parts of the neighborhood, in areas immediately west of Germantown Avenue. The crack cocaine epidemic of the 1980s changed the character of the neighborhood; it became considered to be on the western fringes of the Philadelphia Badlands. Hester said that when recreational drug presence appeared in his area, many residents left. Many houses became vacant and left to children, and many drug dealers moved into the area. Afterwards Hester began campaigning against drug dealers in the area. Hester persuaded W. Wilson Goode, then the Mayor of Philadelphia, to order the demolition of 82 properties, including former drug houses, at the intersection of Hutchinson Street and Percy Street. Frank Rubino of the Philadelphia Weekly stated in a 2007 article that Glenwood had "Crumbling, boarded-up" row houses with signs reading "KEEP OUT!," broken windows, lots with trash, porches with iron grating, graffiti, murals erected for people who died, discarded malt liquor bottles and tires, and stray cats. In the same article Hartsfield described Glenwood as "absolutely an ugly neighborhood," adding that "it's ugly and it’s dirty." ^ Rubino, Frank. "Razing Hell." Philadelphia Weekly. May 7, 2008. Retrieved on January 20, 2009. ^ "Health disparities in Philadelphia's Latino community - Philly". philly.com. Retrieved 23 April 2018. ^ "Washington Post: Breaking News, World, US, DC News & Analysis". Washington Post. Retrieved 23 April 2018. This page was last edited on 16 November 2018, at 19:38 (UTC).